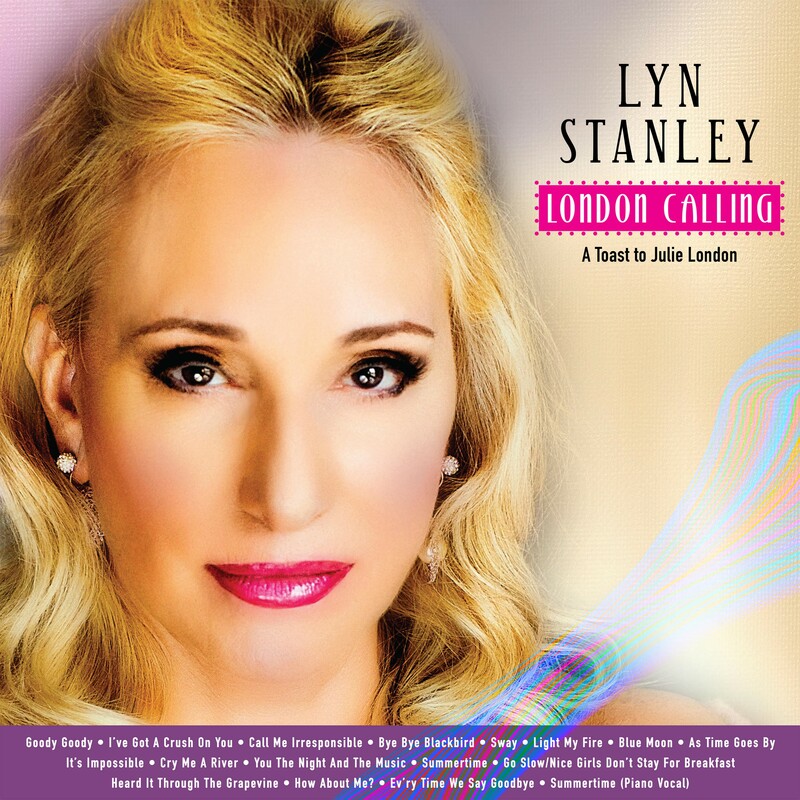 London Calling marks a big step forward in Lyn Stanley’s evolution as a recording artist. Just five years after her 2013 debut album—Lost in Romance—this new recording provides a unique vision of Julie London with a self-curated set list emanating from Lyn Stanley’s clear idea of how each tune should sound. She holds true to the composers’ ideas, while integrating her own. Working with many of LA’s best session players, and without any written arrangements, the intimate collaboration is nothing short of remarkable. Stanley says: “It was a thrill to hear something that you’ve brought to life come all so easily.” The stellar lineup of musicians includes guitarist John Chiodini; pianists Mike Garson and Christian Jacob; bassists Chuck Berghofer and Michael Valerio; percussionists Luis Conte, Brad Dutz, and Aaron Serfaty (also heard on drums); and drummer Paul Kreibich. The magnificent sound is bright and clear, thanks to engineering by Steve Genewick, Rouble Kalpoor, and Spencer Garcia; mixing by Allen Sides, and mastering by Bernie Grundman. Recorded at United Recording, Hollywood CA. Stanley, whose audiophile bona fides and perfectionism in the studio are well established, has also produced artful packaging for the album with gorgeously photographed images, yet another tribute to her inspiration, Julie London. Completing the package are wonderful liner notes by Scott Yanow, offering a historian’s perspective on the music, background on each song, and insights to how both Lyn—and Julie!—approached these tunes. With a Valentine’s Day weekend—February 15, 2019—wide release street date, London Calling…A Toast To Julie London is a gift for lovers and lovers of great music, created the way it was in the 1960s. Keep an eye out for multiple versions of the album, including standard and Super-Audio CDs (SACDs), along with a two-disc vinyl LP set. The Independent Jazz Artist, Lyn Stanley, has sold over 40,000 full albums worldwide.